Last month, when we unveiled Pacific NW Portal Version 5.0 (codenamed Newport), we also committed to adopting a more frequent release cycle for the project, delivering improvements on a more incremental basis, like we did during Pacific NW Portal’s early days seven years ago. I am pleased today to announce that the first fruits of our new approach have borne fruit. Today, just one month after Newport went live, we are releasing its successor: Version 5.1, codenamed Agate Beach. Agate Beach is what’s known as a maintenance release. As the version number indicates, it is simply a more polished incarnation of the last major release (Newport). It’s sort of the inverse of an overhaul. 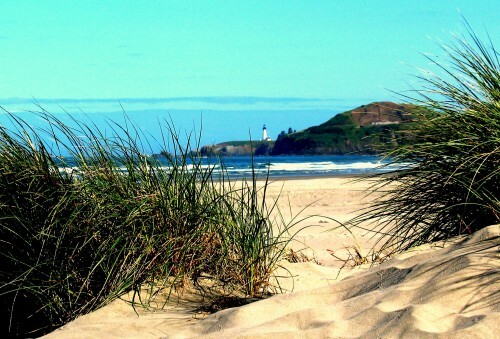 Agate Beach is an unincorporated community in Lincoln County near Newport, Oregon. It is named for the agates (a variety of silica) found on the shores there. It is accessible to the public as a state recreational site. The following post constitutes our official changelog for Version 5.1. Please feel free to leave questions, suggestions for future versions, or other thoughts on Agate Beach in the comment thread. Full titles for articles and posts now appear on mouseover. Many of Pacific NW Portal’s feeds truncate titles to save space (and always have). This allows items to be neatly presented. Unfortunately, this often means some words get cut off. We have reprogrammed our feeds with truncated titles so that readers have the ability to mouse over a link and see the full title in a tooltip. This way, it’s possible to preview the full title before clicking the link. Feed titles and descriptions now truncate with proper ellipses. In the past, cut-off descriptions and titles ended in two dots (..) to signify the omission of the rest of the description or title. However, a proper ellipsis has three ellipsis points (…), as defined by the Chicago Manual of Style and NPI’s own Style Guide (in draft). We have reconfigured Pacific NW Portal so that it truncates all cut-off items with proper ellipses. Federal, State, and Local columns now line up more consistently. We’ve eliminated some alignment problems by making a couple of adjustments to Pacific NW Portal’s stylesheet. Items appearing under one of these three front page columns are no longer permitted to spill over and take up more than their allotted space. Visited links now tracked. Pacific NW Portal now displays clicked links in purple (which is the universal default most browsers adhere to) instead of the same blue used for unvisited links. This should make it easier to distinguish between already-read and not yet-read posts. Bugs and blemishes fixed. We’ve resolved a few minor problems relating to user experience and layout. Some were browser-specific. For instance, in Mozilla Firefox, an annoying gray rectangle was appearing whenever the Previous or Next buttons were clicked. We’ve made that go away. And on the BlackBerry PlayBook, one of the carousel slides was appearing at the edges of adjacent slides. Not anymore. Here is a list of the blogs we have added to Pacific NW Portal’s Regional Blogs Directory since Newport (Version 5.0) went live. All of these blogs were added to the Washington column.